It was early in the morning when I pulled into the driveway of Cirks’ residence. He had the boat hooked up and was clearly pumped about the prospects of a good day of bass fishing. Kelley Cirks is all smiles as he finally lands a good fish on a very difficult day. As we drove to the lake, he filled me in on the bite that had been taking place. With the spawn over and the fish recuperated, the bass had moved into the cabbage beds and were hungry and ready to eat. His hot baits had been the Salmo Hornet and PowerBait worm. Once at the lake, it took little time for us to land the boat and motor to a weed flat that was littered with clumps of cabbage. As we worked along through the weeds, we reminisced about big fish we had taken from this very location on previous outings. The conditions were ideal and at any moment I expected to tie into a bruiser that would get the morning started in a big way. It didn’t happen. For some reason, the fish that had been camped in this location a couple of days earlier had moved. Two futile hours and several weed beds later, we gave up on lake number one and loaded the boat. Lake number two was high on my list. The biggest bass of my life had come from this water as had several other five pound fish. We were both confident that this lake would be the ticket to success. An hour later, we had nothing but a few small fish to show for our efforts. 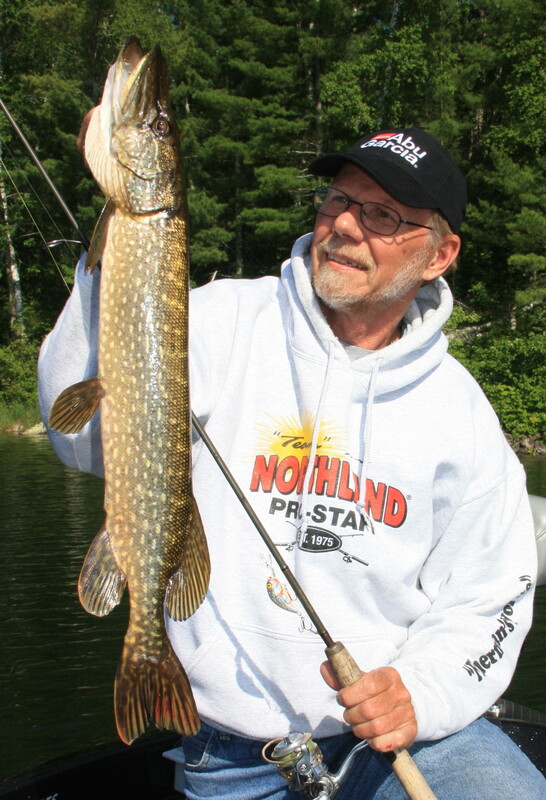 Although this northern is certainly not a trophy, when fishing is tough, it is still a fish. At this juncture, we realized we had hit an off day and needed to change things up. For some reason, the bass had gone negative and were not going to cooperate with a normal presentation. As is often the case when things go south, we downsized our rigs to something more along the snack size instead of the full meal deal. For me, that meant an eighth ounce Lip Stick jig and a five inch PowerBait finesse worm. By starting shallow and working our jigs down to the deep weed line, Cirks and I began to find a few fish. It wasn’t anything spectacular, but it was action. The finesse approach was obviously more appealing than our standard rigs. By the end of the outing, we at least had a couple of opportunities to get the camera out. We also had once again learned the value of not giving up. 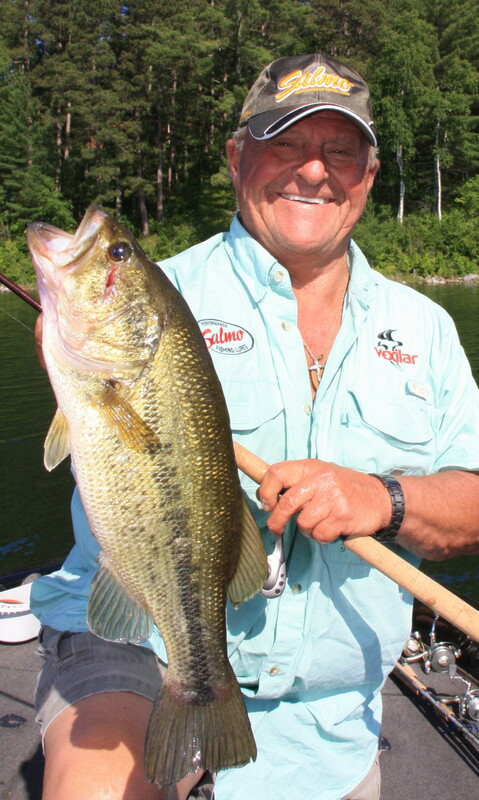 Too many times, anglers end a trip early because the fish are not cooperating. My advice is to be cautious about quitting too quickly. When the fish get lockjaw, it is important to pare down your expectations but also to change your presentation strategies. On this trip, Cirks and I were successful because of two factors. First, we downsized our presentation to something small and simple. Most importantly, we caught fish because we didn’t give up.